Former Director of National Intelligence James Clapper defended the FBI following the recent revelations about an investigation into whether President Trump was working on behalf of Russia, calling the action "justified." According to a bombshell report from the New York Times late last week, the FBI launched a counterintelligence probe into the president immediately following the firing of FBI Director James Comey to determine whether or not he was a Russian asset. Trump vehemently denied to reporters on Monday that he had any ties to Russia. 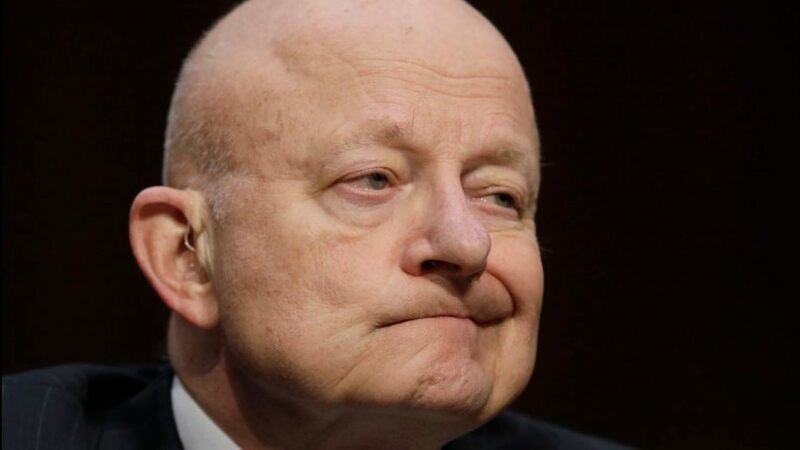 “I certainly can’t recall anything comparable involving a president in over my 50-plus years in intelligence and I was in the intelligence community during Watergate, but nothing happened then that approaches this,” Clapper told CNN anchor Anderson Cooper. The report led to criticism from Trump allies that the FBI overreached in a mission to go after the president. But the former DNI doubled down on his previous remarks that the FBI would have been “derelict in their duty” if they didn’t launch their counterintelligence probe into Trump.